Built in accessory storage. Handle for transportation. Accessories holder stowage. Features carry handle and castors. 36mm hose system with small connection. 220-240V supply. Complete with suction hose, 3 extension pipes, large suction nozzle, crevice nozzle, dirt bag, synthetic bag and foam filter. 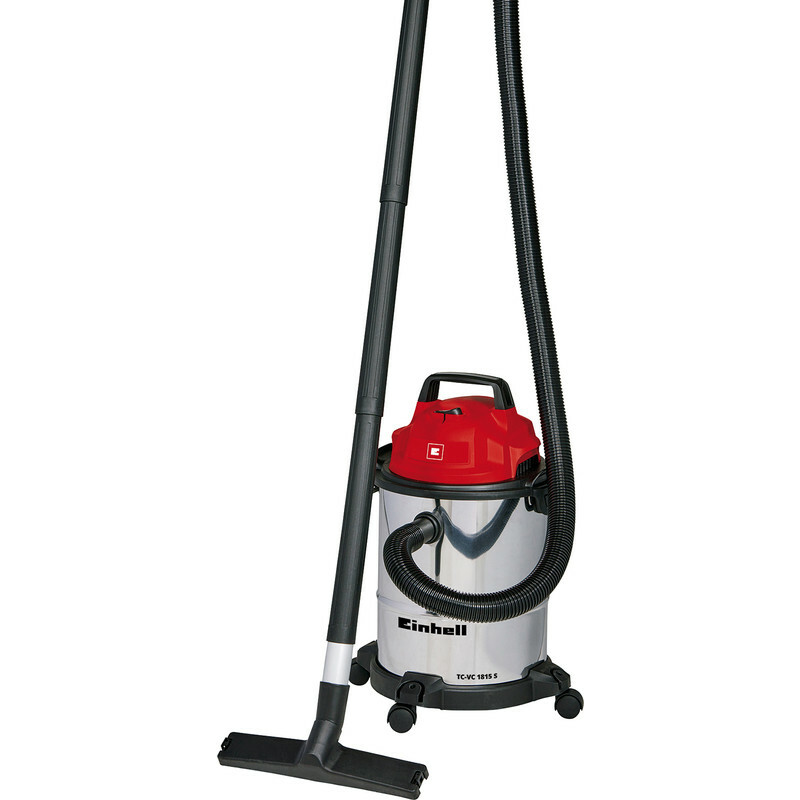 Einhell 15L Wet & Dry Vacuum Cleaner 230V is rated 2.0 out of 5 by 3. Rated 2 out of 5 by Renovation man from Not that pleased Short cord, falls over all the time, same branded bags sold here don’t seem to fit properly (but blows out clouds of dust without them) and suction lost when using bags. Not best pleased!